From the Album of John Allen Mimms Jr.
near Dancyville, from early 1849 until late 1853. 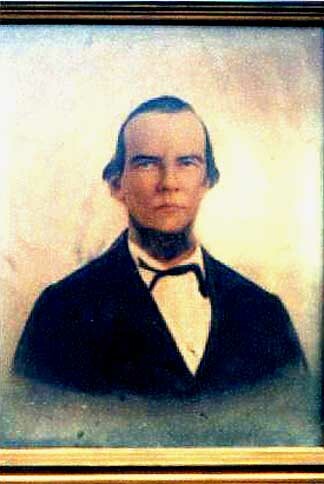 He was the son of Samuel Alexander and Nancy Ann Sessions Mims. Dr. Mims first wife was Harriet McIver Mims, who died in 1857. His second wife was Frances Ann Blackburn Mims. THANKS TO JOHN ALLEN MIMMS JR., GREAT-GRANDSON OF DR. MIMS, FOR THIS SCAN.